With more than 600,000 residents of Canada (representing approximately two per cent of the population) being British-born, British people are an integral part of economic and social life in Canada. Moving2Canada strives to help the British in Canada, whether through information about immigration, employment, or simply settling into life in Canada. Below, you can browse a number of links that will help you to establish yourself in Canada. From consular assistance (for example, if you lose your passport) to simply where one might buy a bag of Walkers crisps and a bottle of Irn-Bru, this is where you will find all you need to know to maximize your Canadian experience. The links on this page are useful across Canada. Links specific to individual cities can be found under the city tabs at the top of this page. For more advice, you can download our free Getting Started Guide for helpful hints for you to plan your journey. Share our guide on how to move to Canada from the UK. The British Canadian Business Association was created with the ultimate goal of ‘giving back’ to the business communities in the UK and Canada. Having experienced firsthand the challenge of making professional and personal re-locations work, our directors recognized the need for a dynamic and well organized resource dedicated to providing businesses with the promotion, connection and support they need. Today, the BCBA supports companies and individuals on both sides of the Atlantic, openly sharing our network and expertise with like-minded organizations to simplify the process and increase the chances of commercial and personal success. British Government page supporting the British in Canada. Information on consular assistance and safety. The British Council creates international opportunities for the people of the UK and other countries and builds trust between them worldwide. This is their site for Canada. The British Council’s Twitter page. The British High Commission’s Twitter page. The British Canadian Chamber of Trade and Commerce. Canadian government page with information for British passport holders. British High Commission in Ottawa (UK in Canada) flickr photo stream. The British High Commission in Ottawa Facebook page. Doing Business in Canada — Information for Brits doing business in Canada. 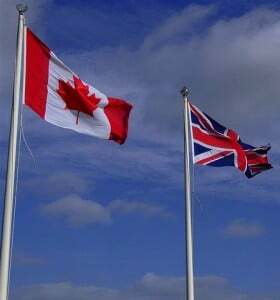 Canada – United Kingdom Chamber of Commerce. The British High Commission in Ottawa. Simply British Foods — A Canadian source for imported British food. Based in Pickering, Ontario, Simply British Foods ships orders across Canada.